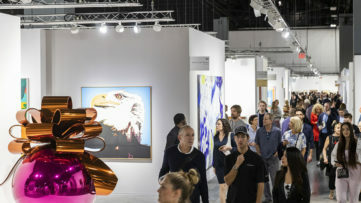 Art Basel is the behemoth of the art world, with 290 galleries exhibiting 4,000 artists. Can satellite fairs benefit from the influx of collectors, channelling a different value proposition? Of the seven 2018 satellite events, some specialize in a topic (books, photography) and others seek to offer a whole new experience for collectors: such is the ambition of newcomer Frame. 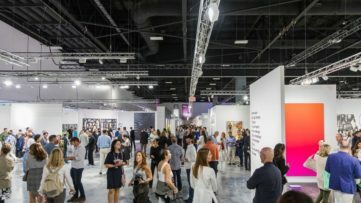 Defined as a collective art space, the fair relies on the collaboration of thirteen international galleries, pooling resources and expertise to offer an event catering to their business needs – and for the benefit of curious collectors. “We are currently witnessing the end of an era” advocates Bertrand Scholler, French gallerist and co-founder of Frame. Big fairs spend most of their resources selling ever more expensive space to galleries instead of focusing on content and quality. At the same time, fairs are like drugs to galleries: they need them, even though they are destroying them. Satellite fairs are barely scrapping by, and often inconsistent. Frame is looking to reverse the trend, one city at a time. Instead of addressing all sectors, it focuses on young galleries showing emerging artists. Frame is hardly alone in this segment however, as at least three satellite salons (Liste, Volta and Scope) make similar claims. Frame bets on several strategic choices to stand out. The 800 m2 of the fair are located in Basel Art Center, where all exhibitors will occupy similar booths, giving collectors breathing space. This “less is more” philosophy is translated in the VIP events program and solo shows offered by the organizers. Will this complementary experience attract visitors and locals? This first edition will tell. 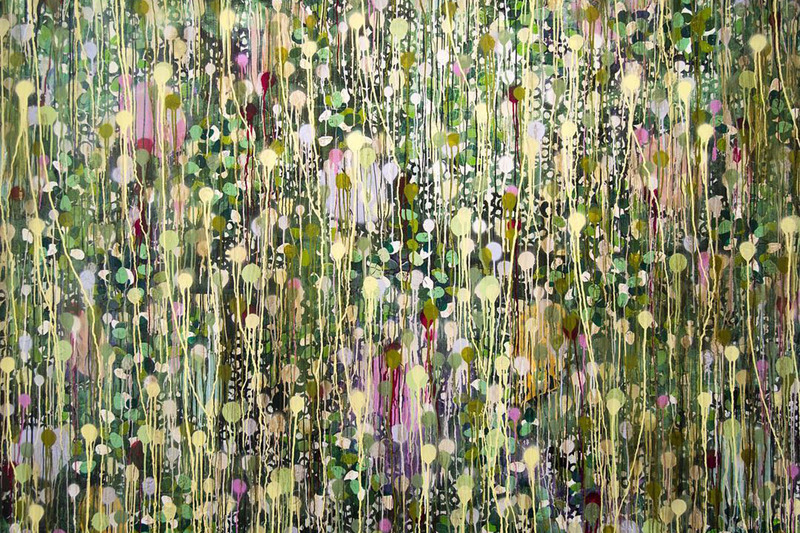 Featured image: Daniel Orson Ybarra – Urban Jungle, detail. Mixed media on canvas, 180 x 260 cm. Courtesy Laurent Marthaler Contemporary.